January sees the start of the six-month European Semester of the European Federation of Psychologists’ Associations, which we in the UK are proud to be hosting. The stated aim of the Semester programme is to create a common space in which European psychologists can interact and communicate to foster the sharing and transmission of knowledge and expertise between members and, in turn, to stimulate the ongoing development of a European identity among psychologists across Europe. For us in the UK to be hosting the Semester during Brexit may seem a challenge. We, however, consider it is an important opportunity to forge the kinds of identity for and relationships with psychology in Europe that our members think are important for the years ahead, whether they are primarily focused on the science or practice of the discipline. Our theme is Moving Humanity Forward, which encompasses much of our agenda, including equality, diversity and inclusion, policy influencing in particular prevention, good science, and psychology education and training to be proud of in inspiring our next generation. During the Semester, we will welcome visiting delegates and colleagues from other European associations, including the EFPA President (see 'One on One' with Telmo Baptista, this issue) and Director, to the many events that are happening during this time, in particular our Annual Conference. This will include time to explore with European and international colleagues how we can work to foster the discipline and better serve the society in which we live. We also plan to reprise a joint lecture with the Psychological Society of Ireland. 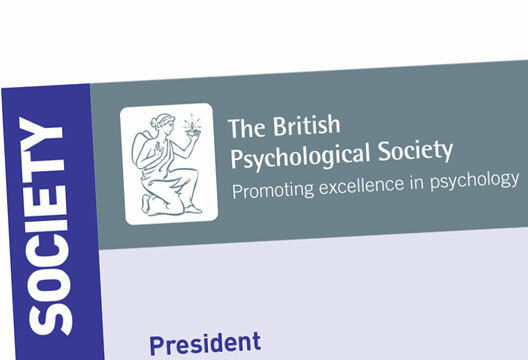 We will take the opportunity to promote materials and information on current developments within psychology in the UK. Particularly we wish to leverage joint policy action in the key priority areas for us in 2018, which include ethics, with the relaunch of our code, and prevention, with a focus on children and young people’s wellbeing and obesity. The history of our discipline is important too, and we have plans to communicate and celebrate it. We have scope to add to the Semester many more events and activities such as meetings, lectures, and the development of papers and position papers. This may particularly suit newer areas of the discipline that are looking for ways to build connections and raise profile. Please do get in touch with your ideas: we have put in place a staff team with dedicated responsibility for the Semester.